After author Kelsey Timmerman brilliantly documented his travels to the origins of everything he was wearing in Where Am I Wearing?, he is at at again, this time traveling to the origins of five common foods. In 2009, reports Timmerman, the US government required Country of Origin Labeling on most foods. 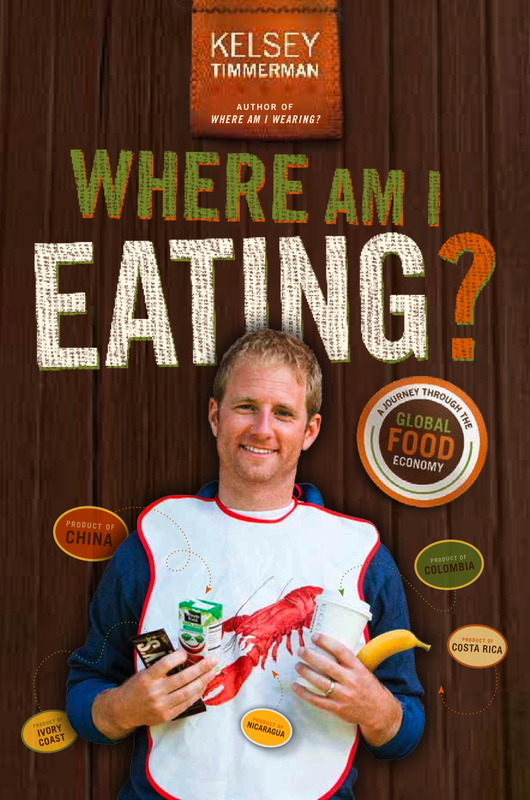 His new book, Where Am I Eating? debuted on Earth Day, 2013. I met untrained divers in Nicaragua who dive deeper and deeper in search of a declining population of lobster. 100% of the divers have diving injuries. In each of these places, Timmerman doesn’t just describe the life of a typical banana picker or lobster diver. He delves deeply into the back stories behind our ingredients, always trying to track down the lowest common denominators in the systemâ€”i.e. the farmers and factory workersâ€”and give them a voice. To accomplish this, the intrepid author devotes multiple chapters to each section, weaving his own adventures with his research, interviews, travel tales, and most importantly, beautiful portraits of people who he meets.